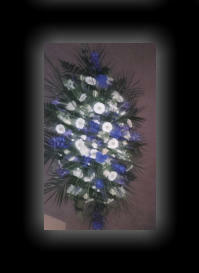 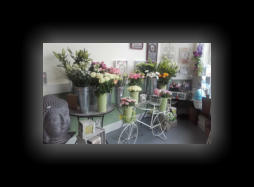 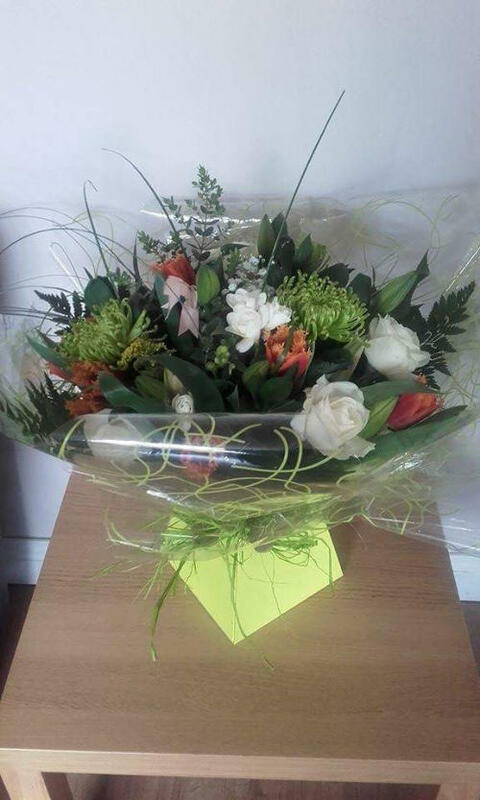 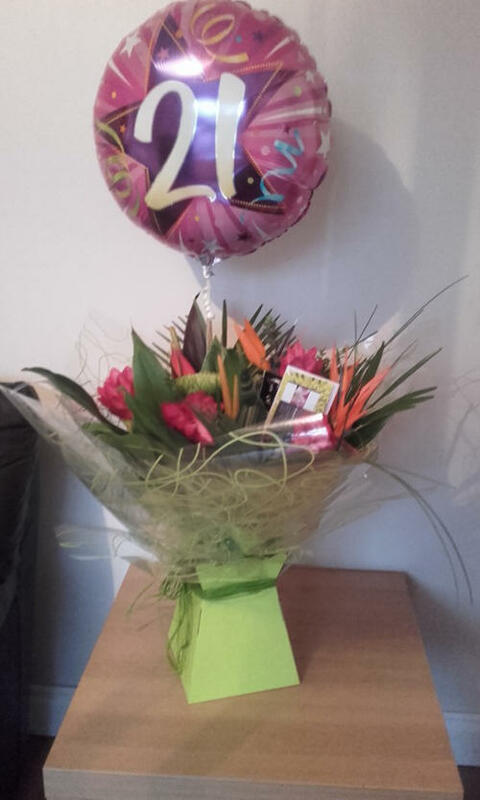 We have over 20 years experience in the floristry industry, with fully qualified florists available at all times. 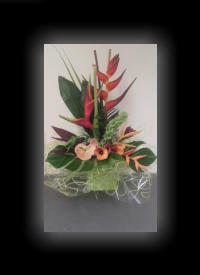 They always work to an extremely high standard and take pride in all that they create. 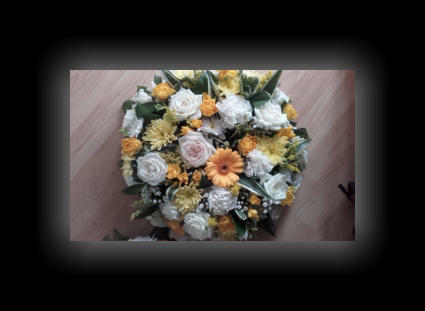 We like to offer our customers value for money and can cater to all price ranges. 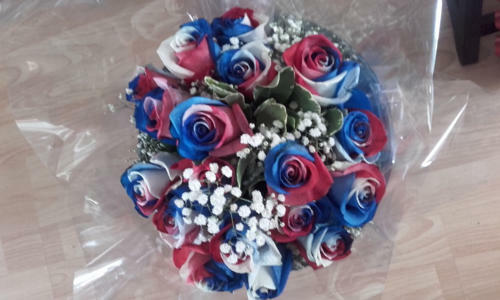 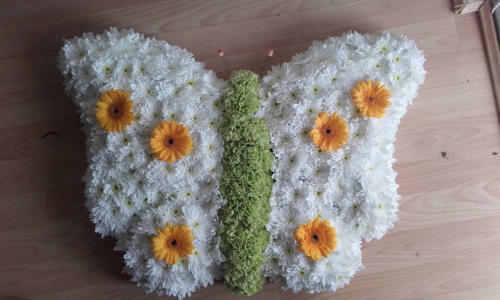 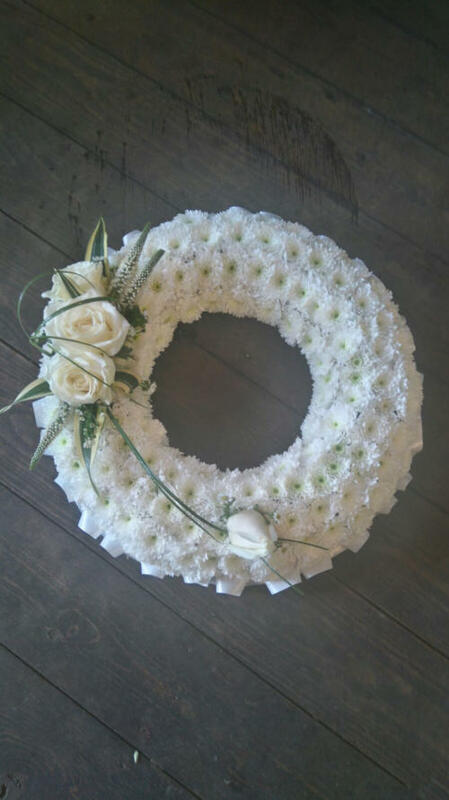 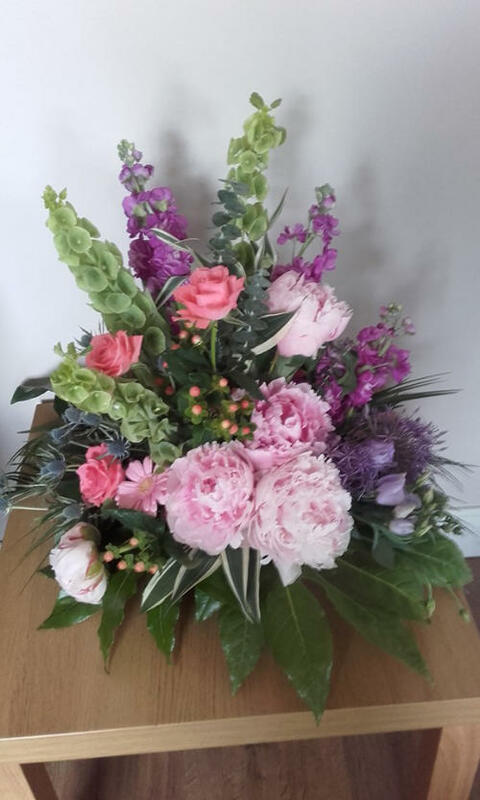 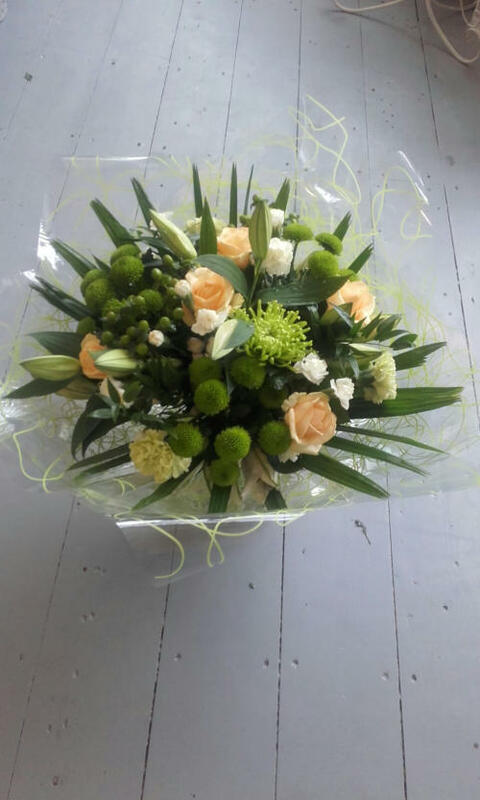 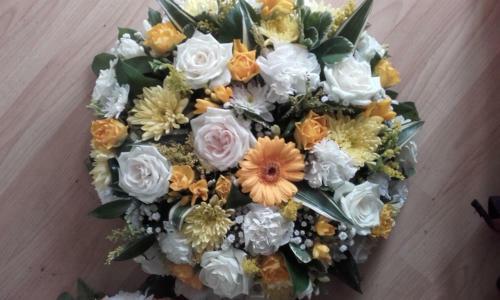 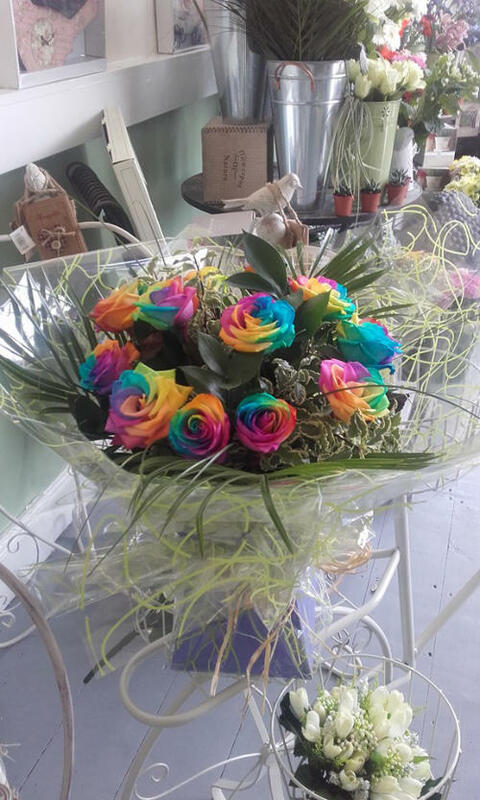 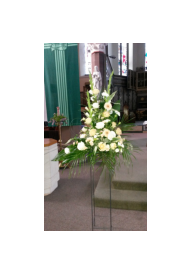 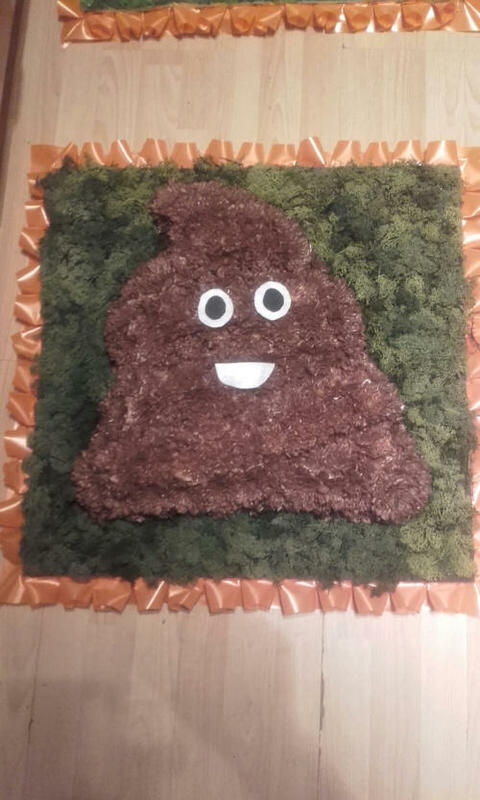 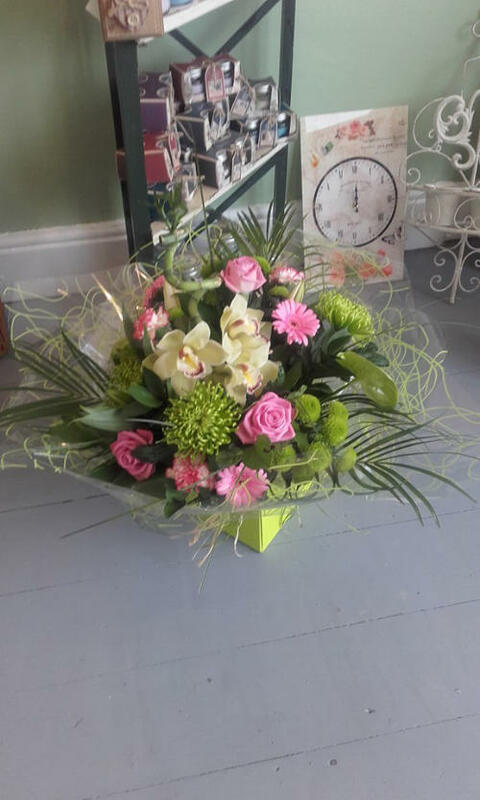 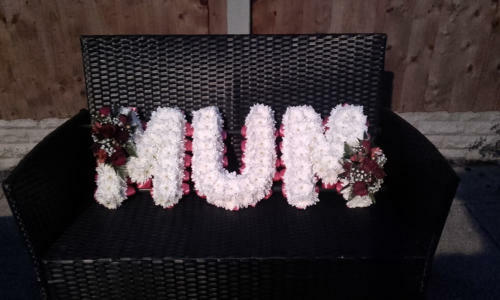 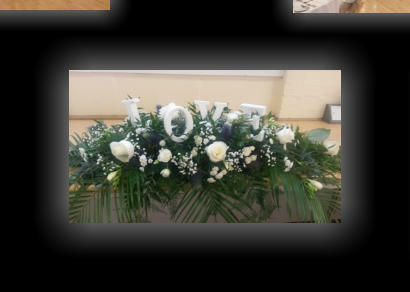 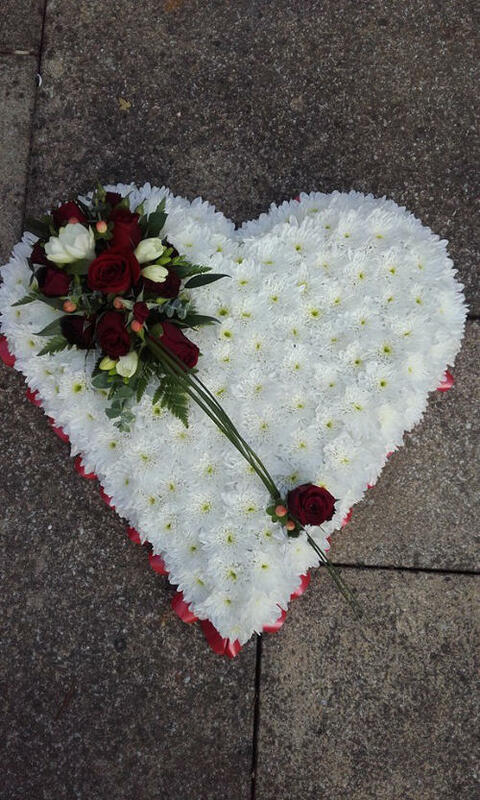 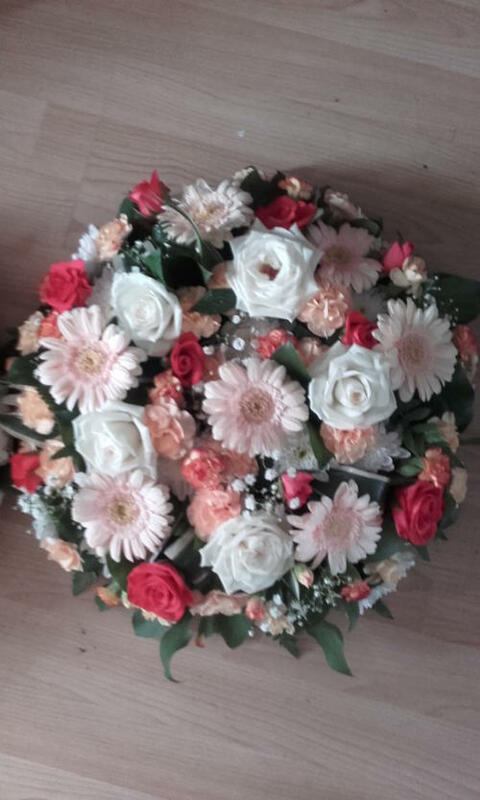 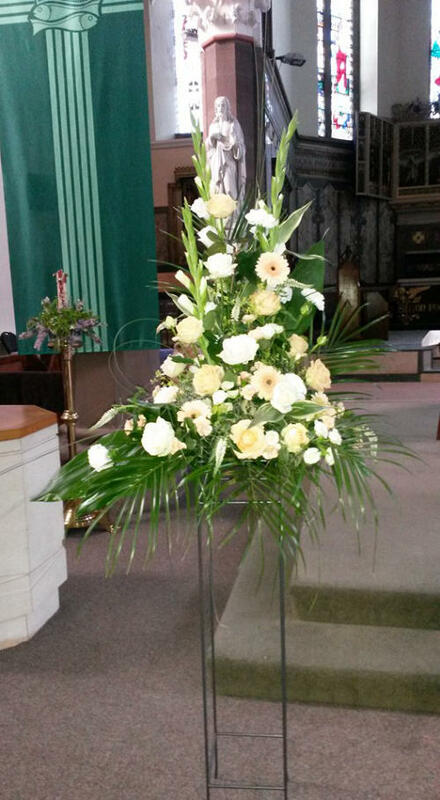 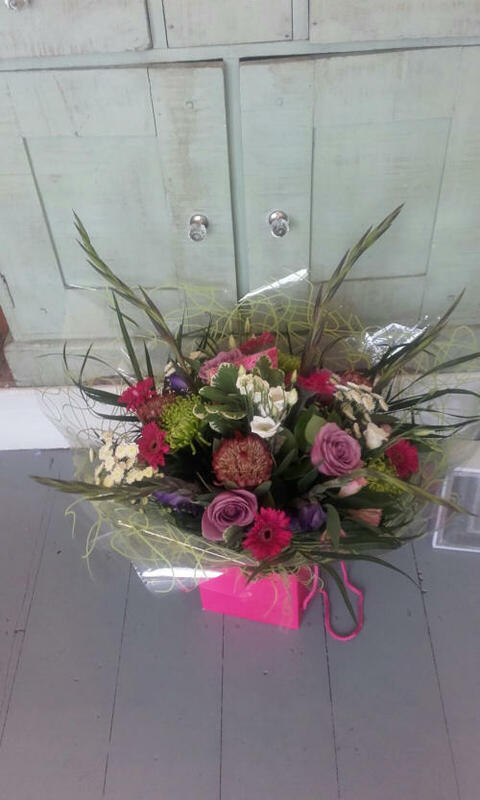 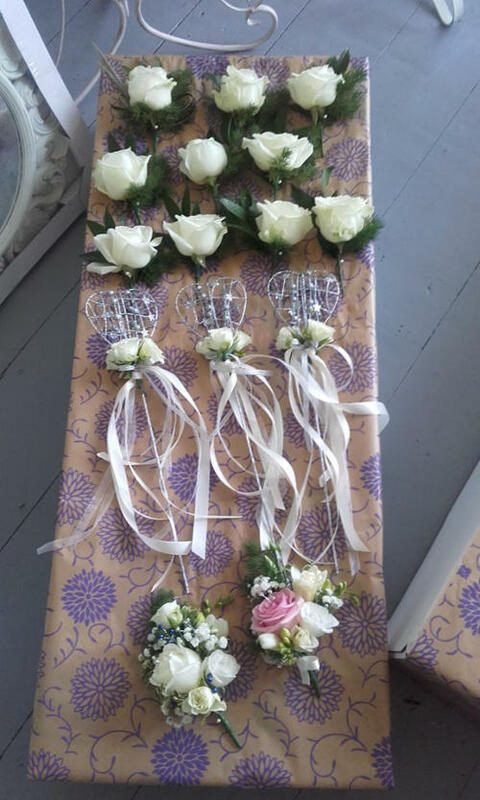 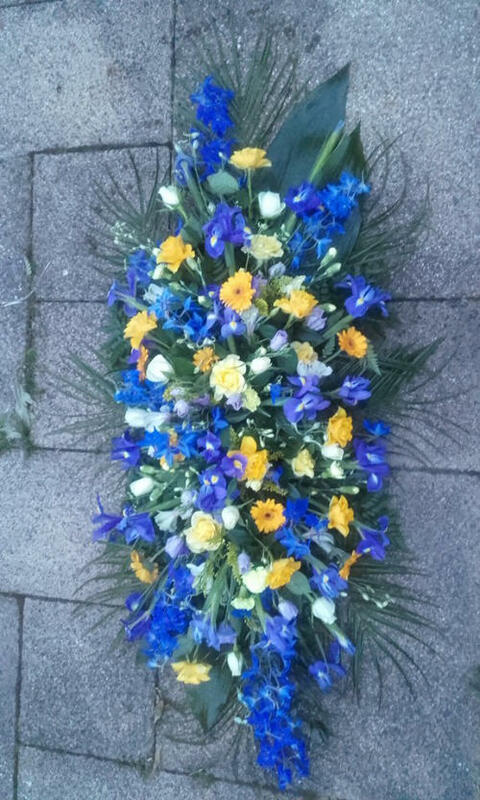 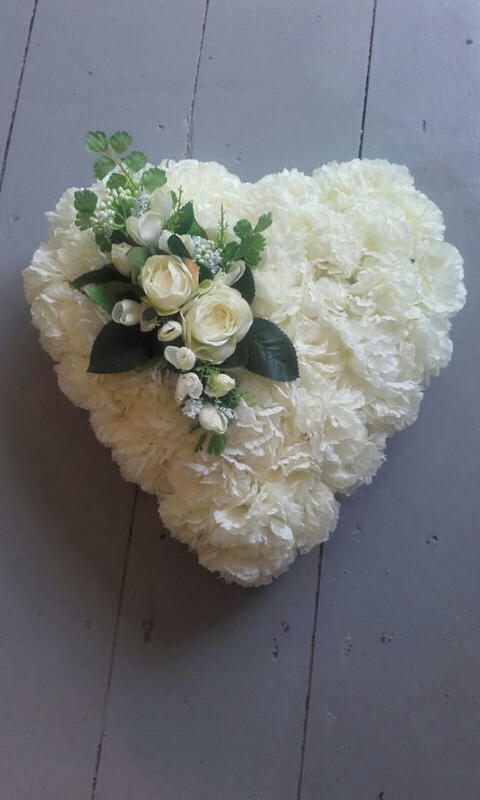 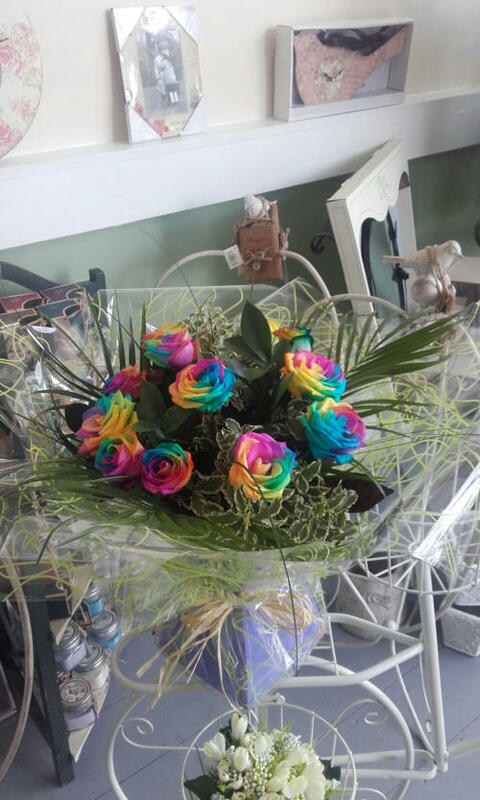 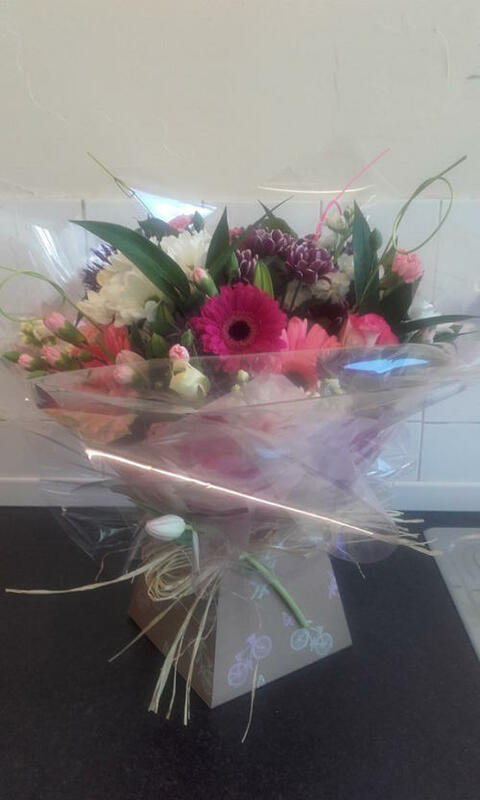 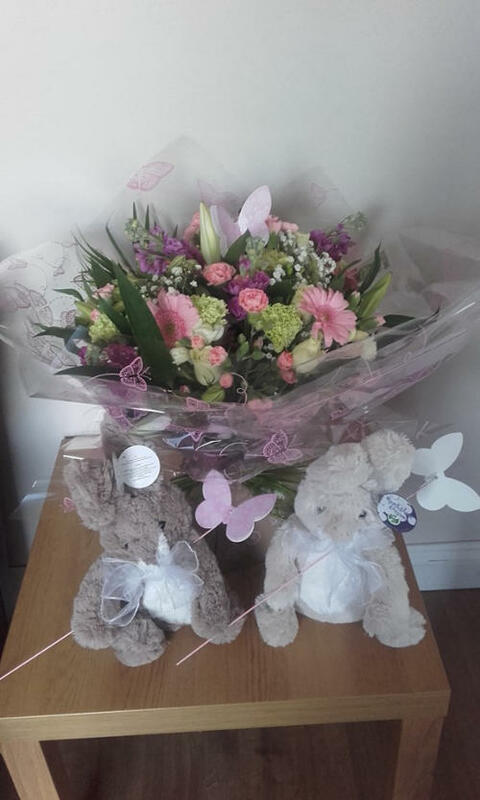 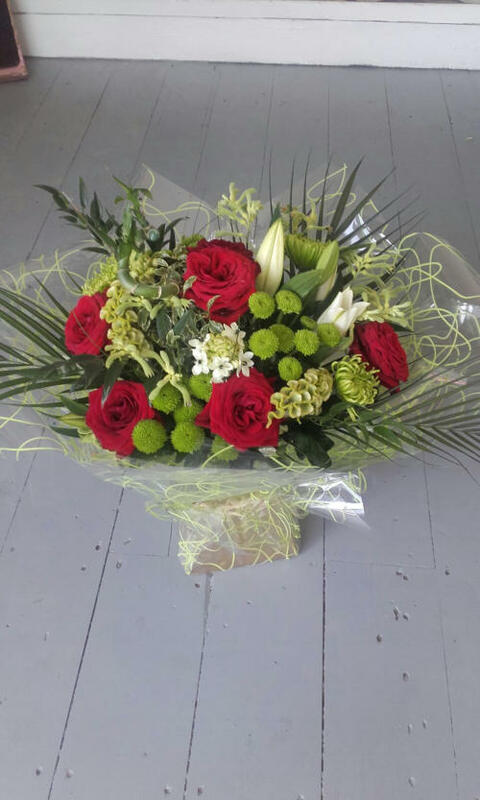 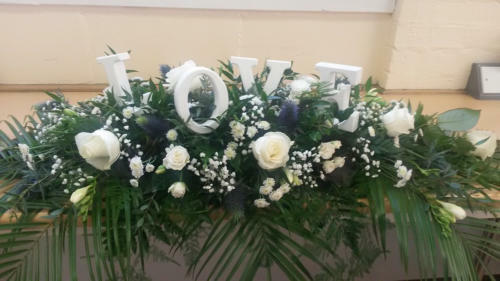 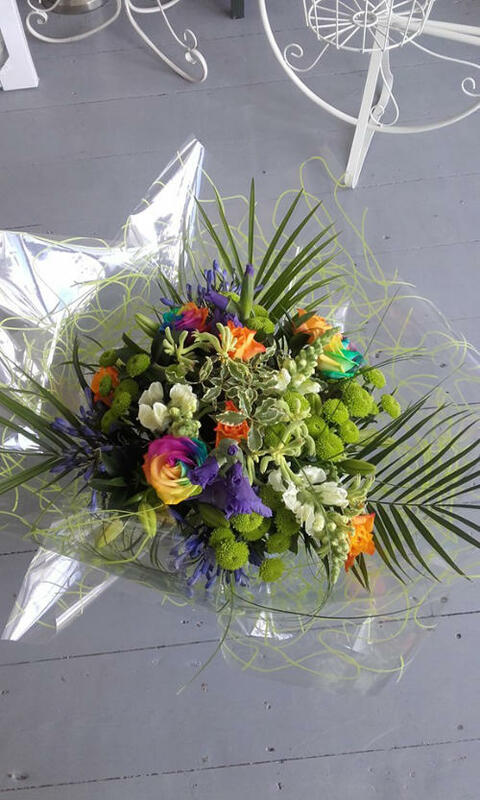 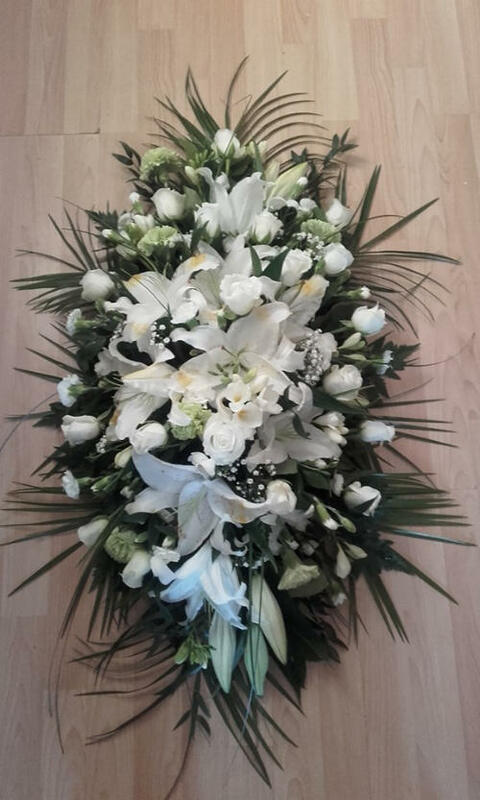 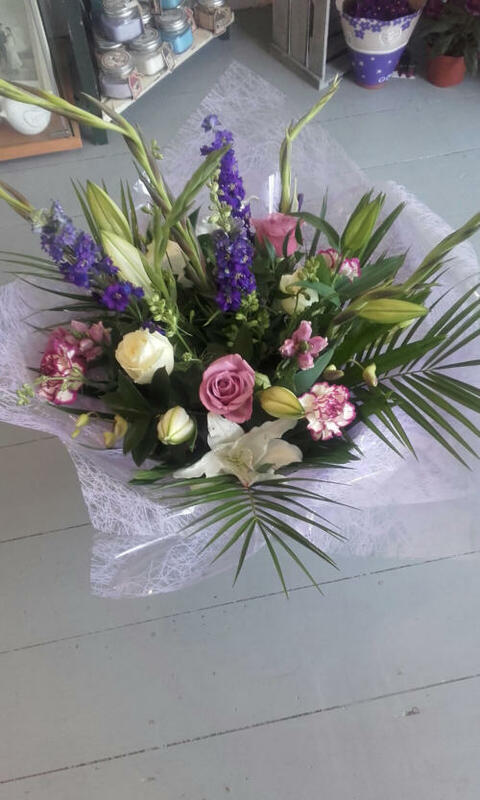 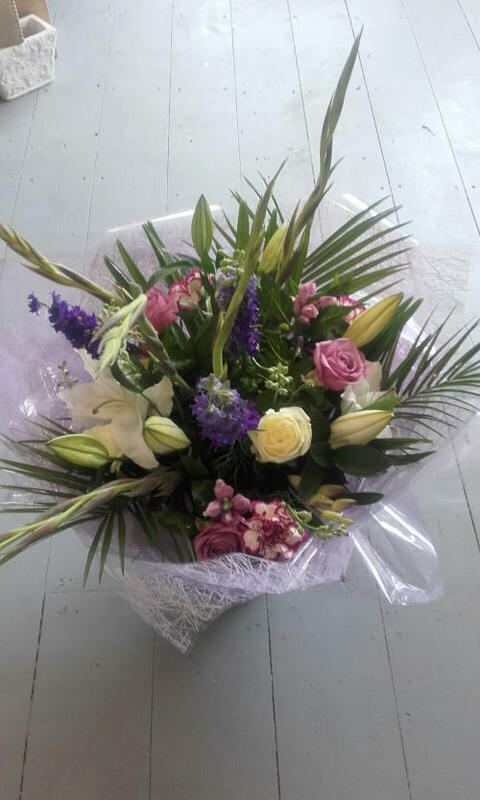 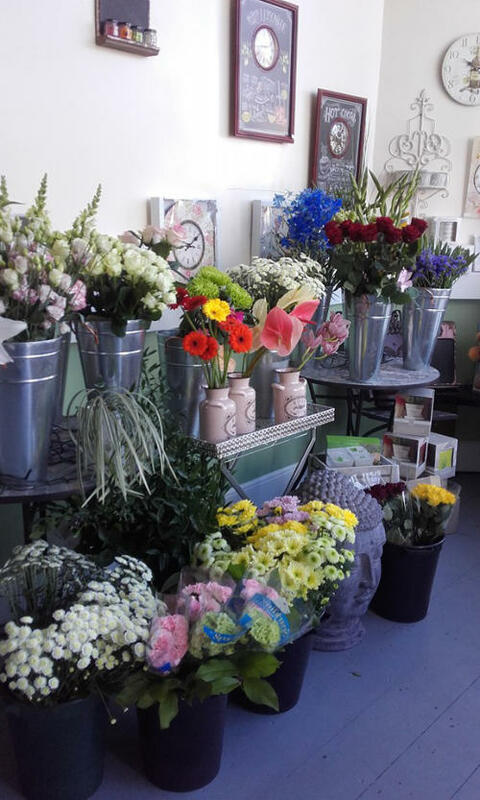 We have extensive experience with weddings, funerals, birthdays and general occasions, our florists also offer bespoke arrangements to suit all requirements. 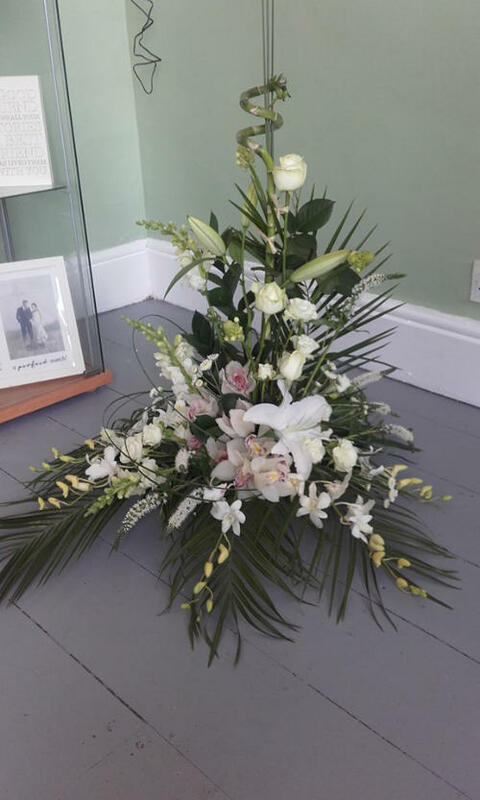 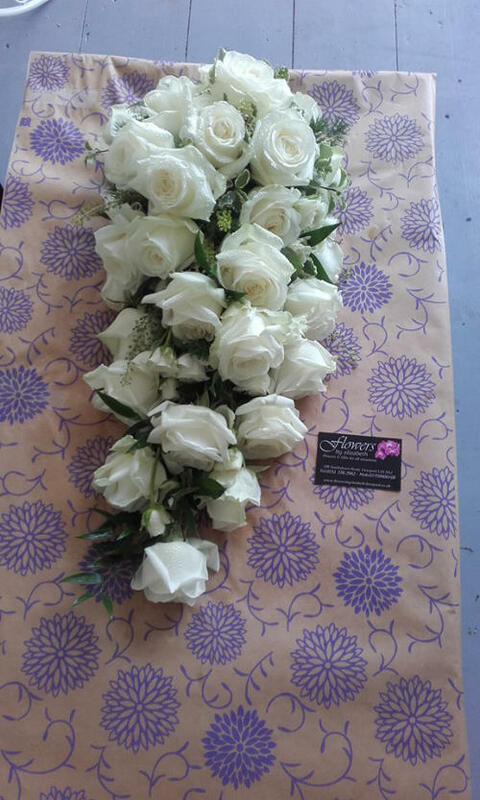 Your wedding flowers are an important part of your special day, it is important to us that you find the right flowers that you require to suit your budget. 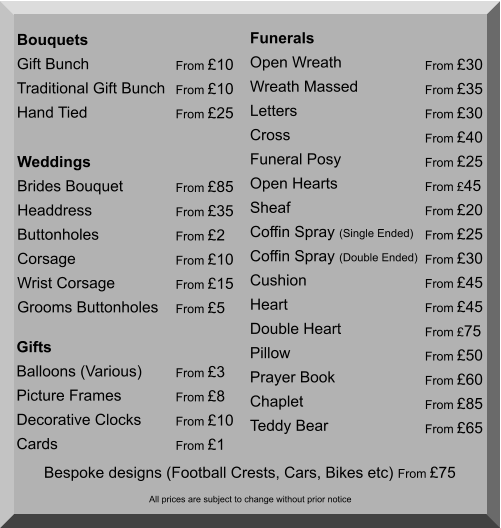 If you need just a single item or the full wedding package the same care and attention to detail will be used for all items. 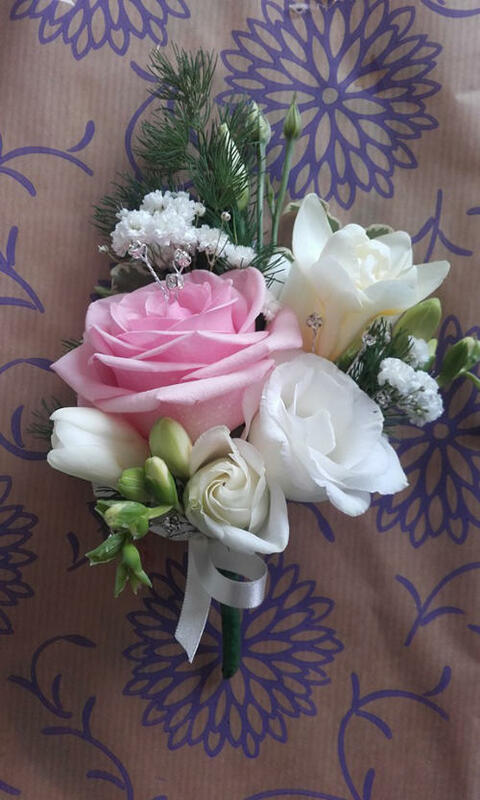 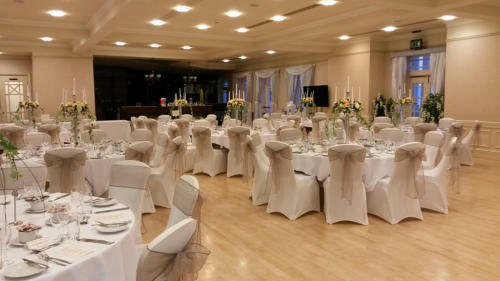 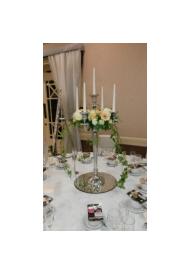 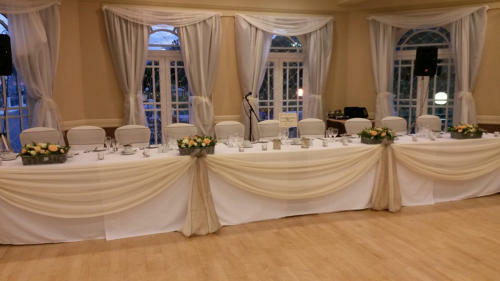 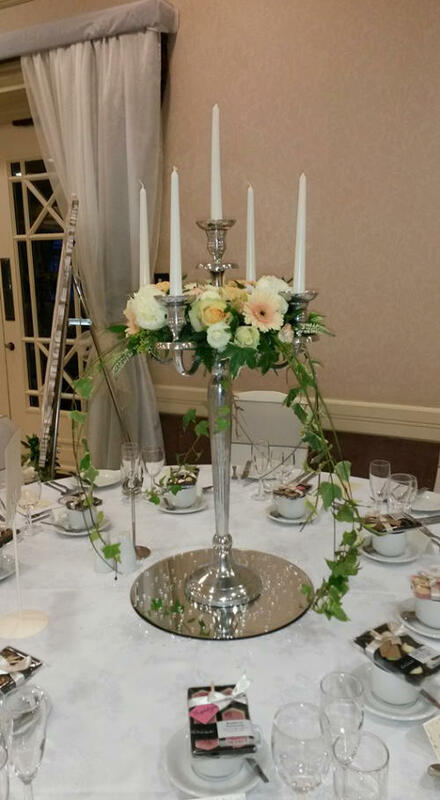 We have a vast amount of experience with weddings and can provide everything you require, such as Bridal Bouquets, Bridesmaids Bouquets, Buttonholes, Top Table Arrangements & Table Centres. 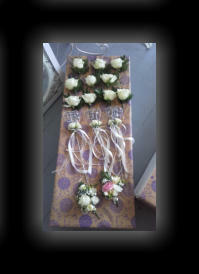 We can also provide wedding favours for your guests and offer a bespoke service for any other needs. 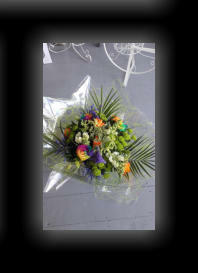 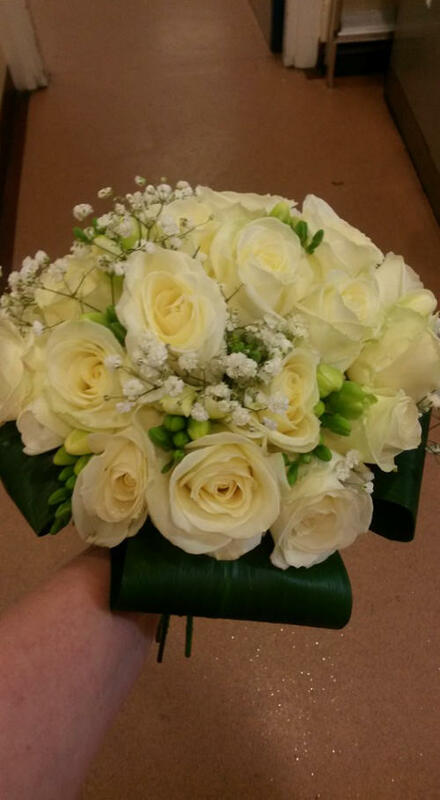 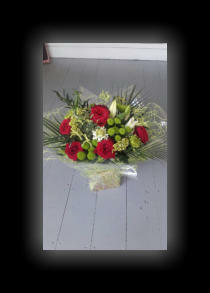 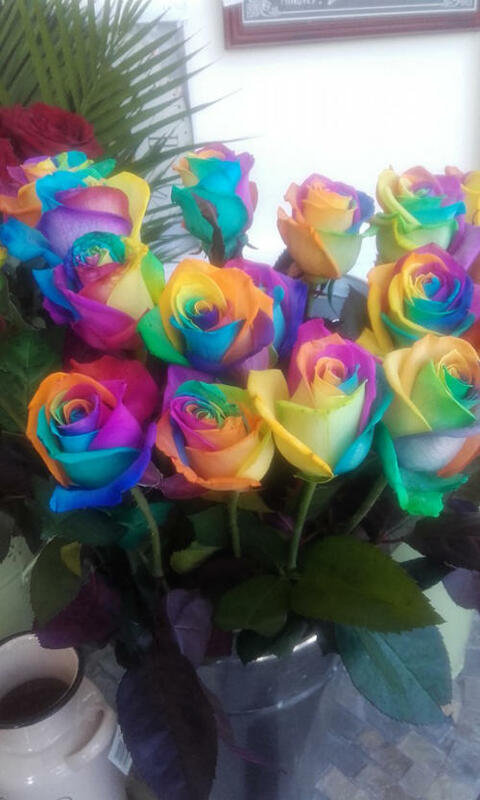 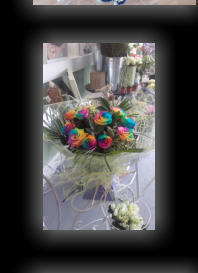 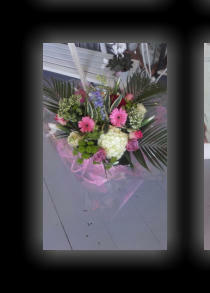 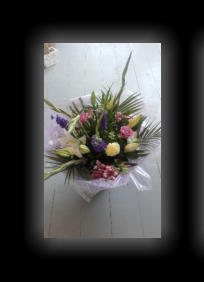 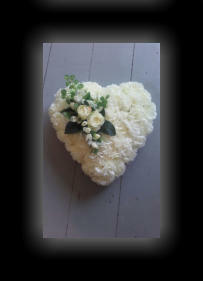 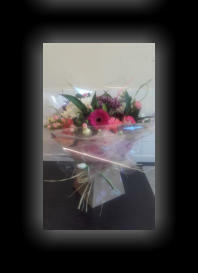 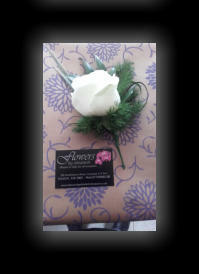 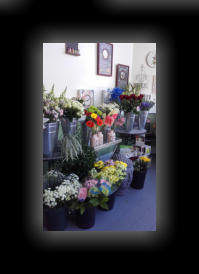 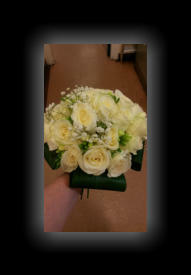 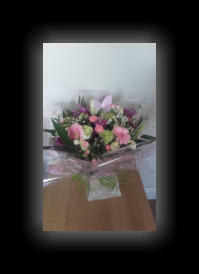 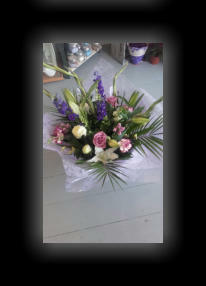 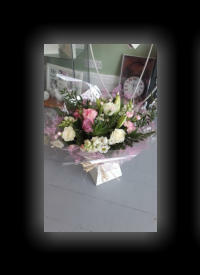 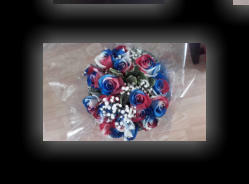 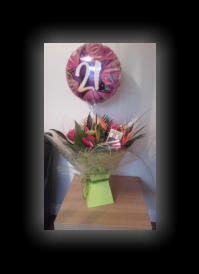 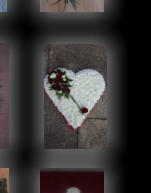 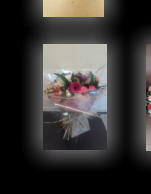 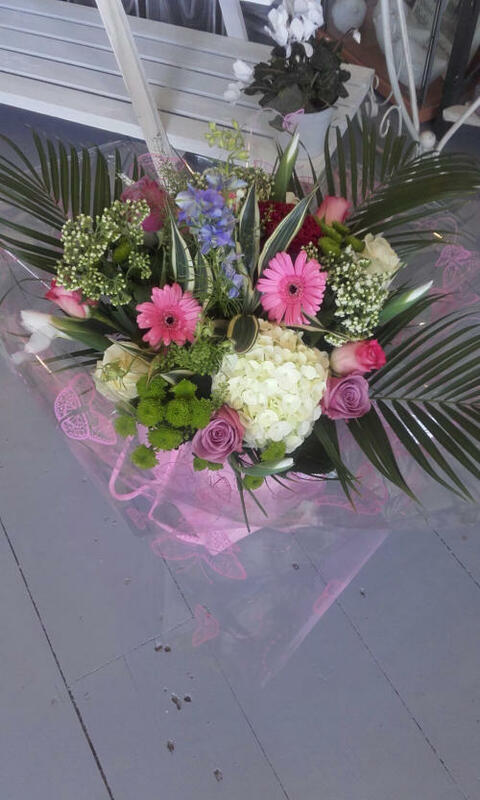 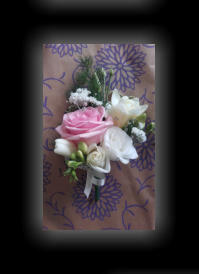 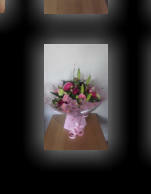 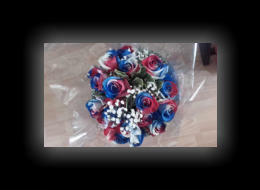 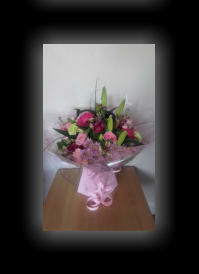 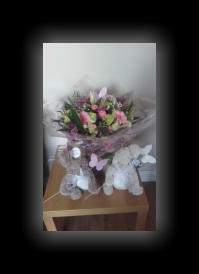 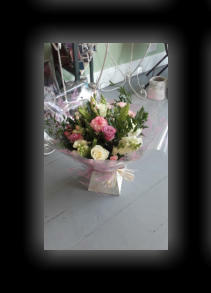 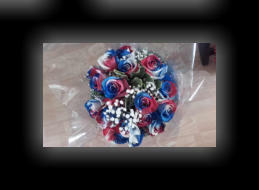 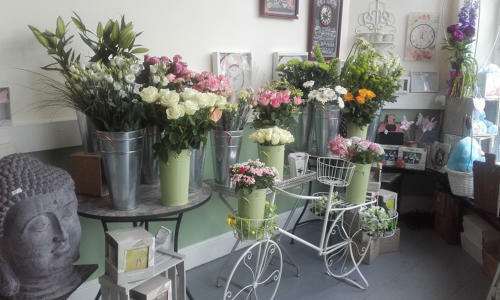 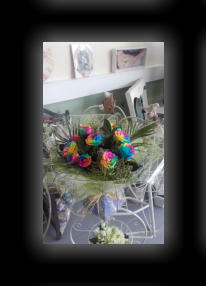 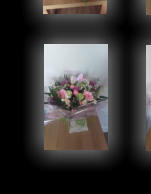 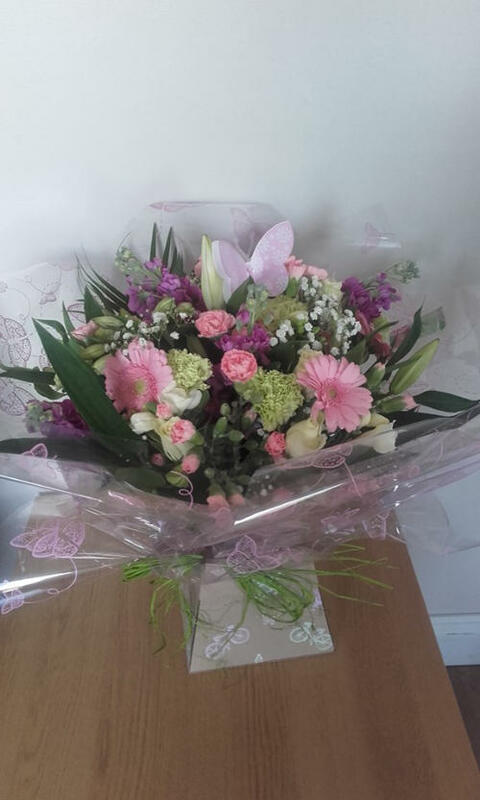 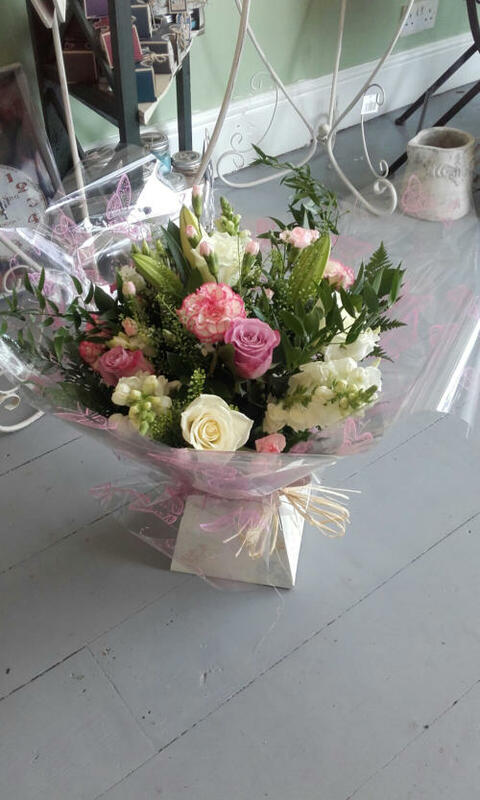 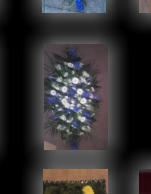 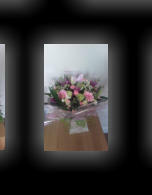 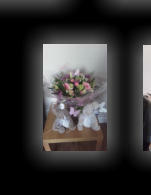 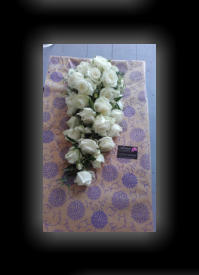 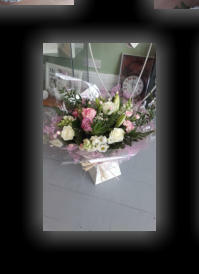 Your special day is important to us, let our florists make your day a memorable occasion. 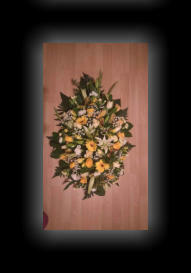 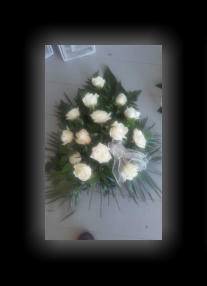 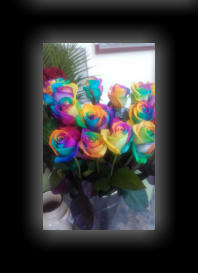 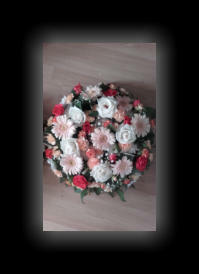 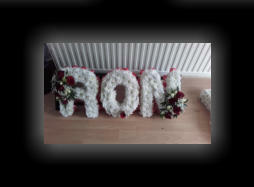 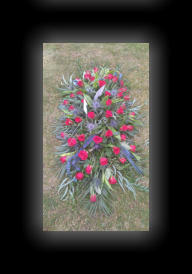 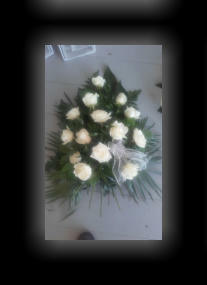 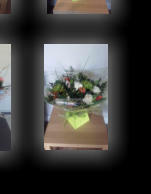 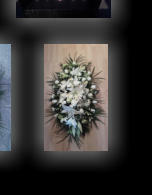 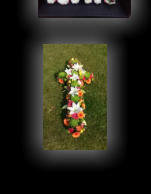 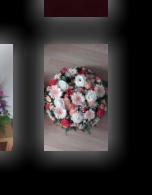 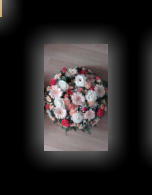 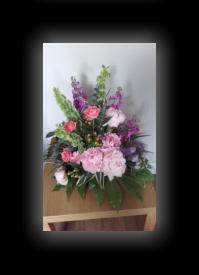 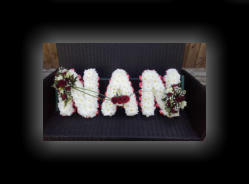 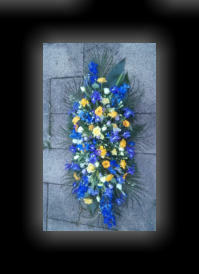 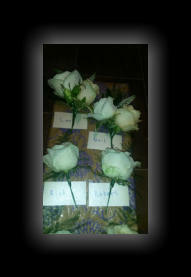 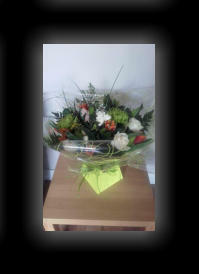 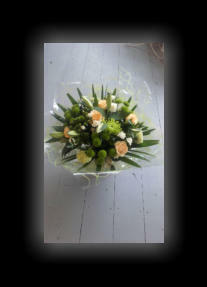 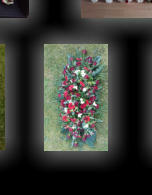 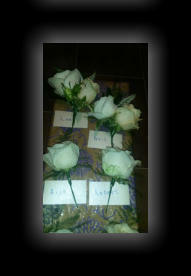 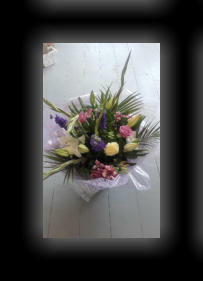 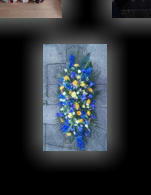 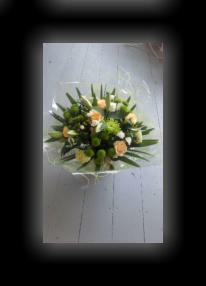 Funeral flowers are a very personal message sent at a time of sorrow. 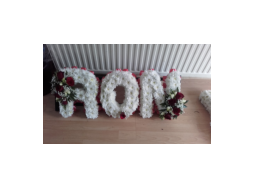 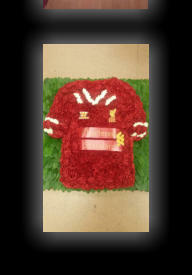 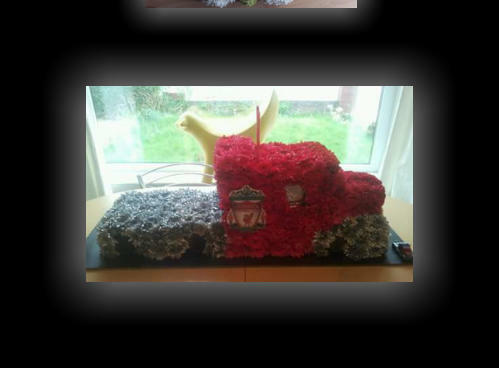 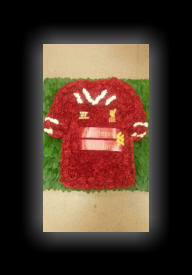 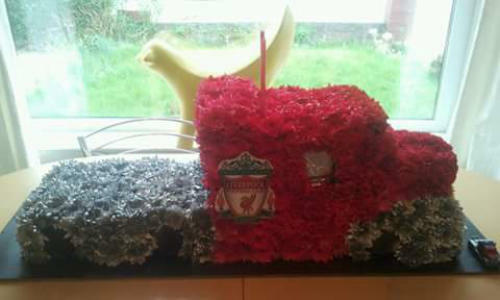 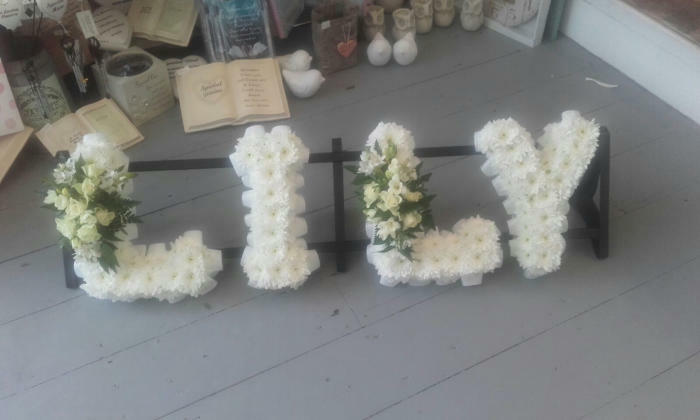 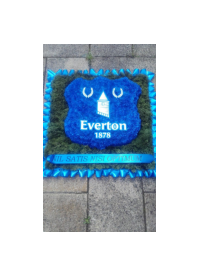 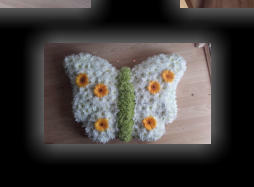 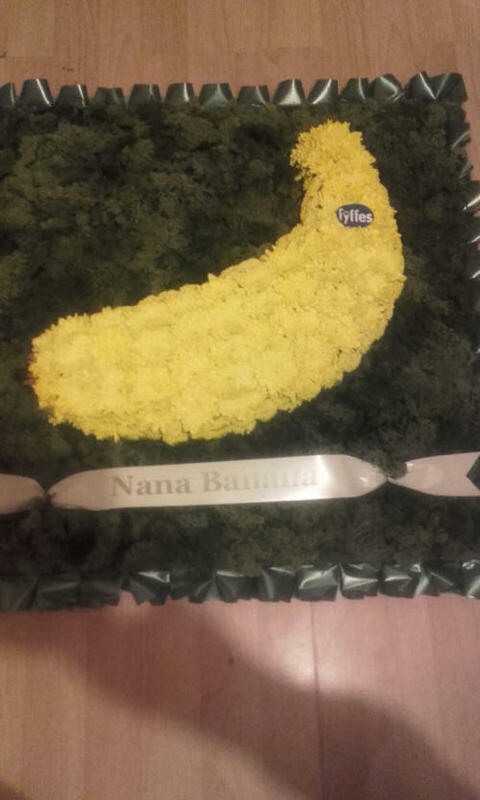 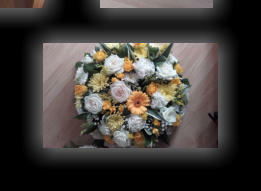 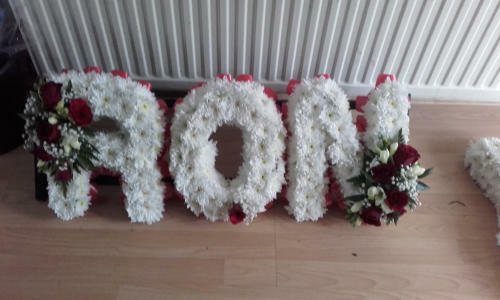 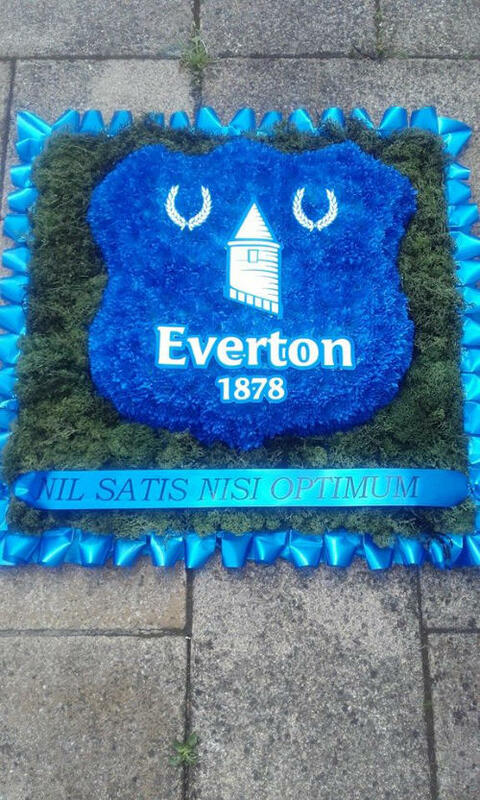 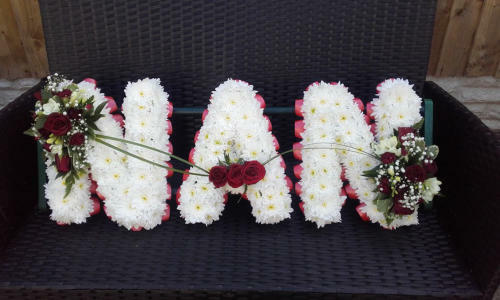 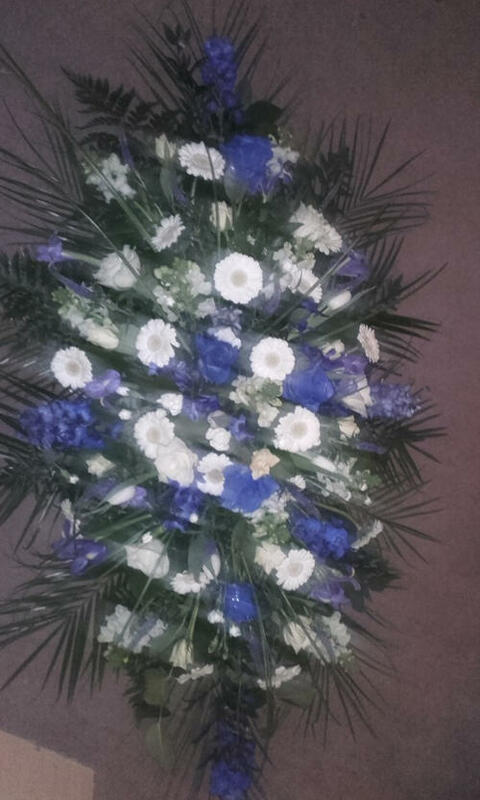 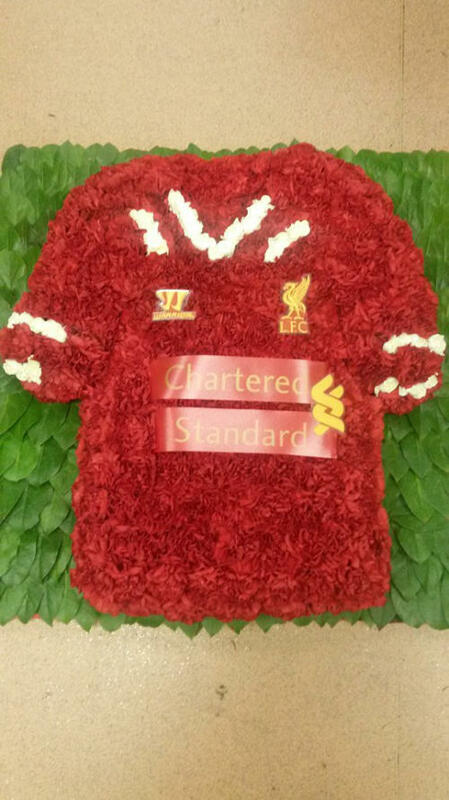 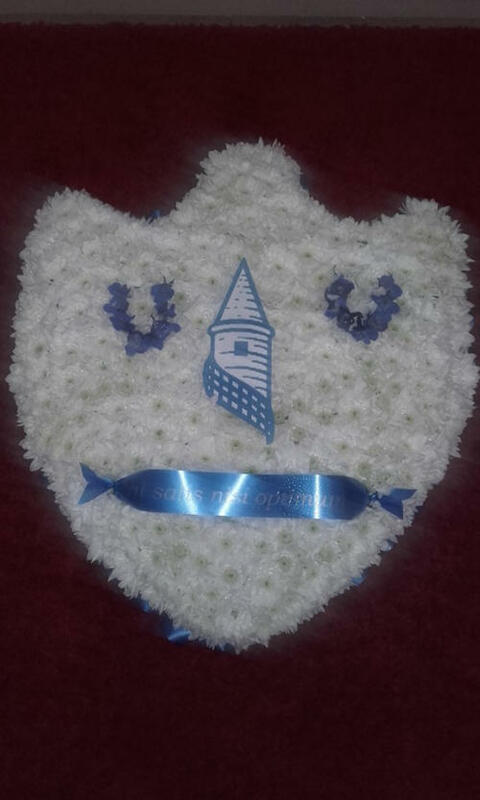 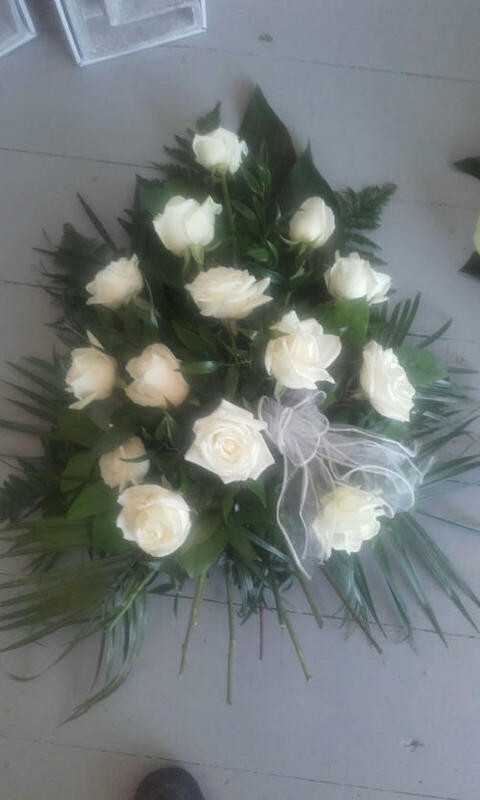 We understand that this can be a difficult time and have expert florists on hand to assist you with your choice of tribute. 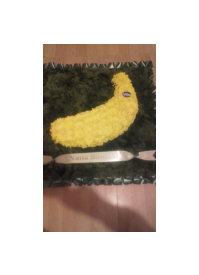 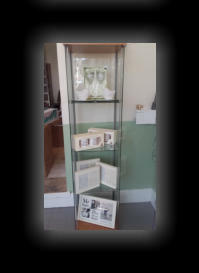 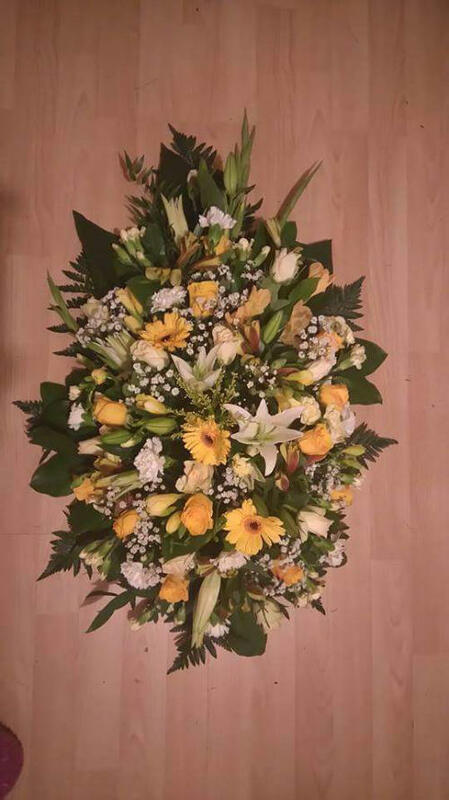 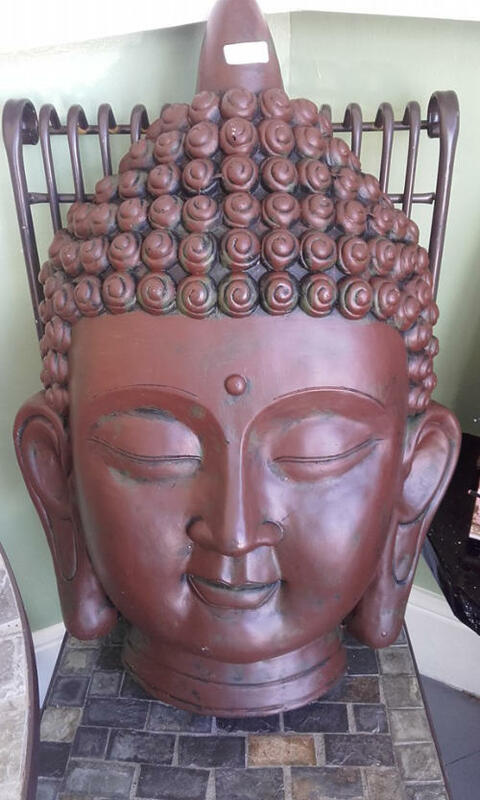 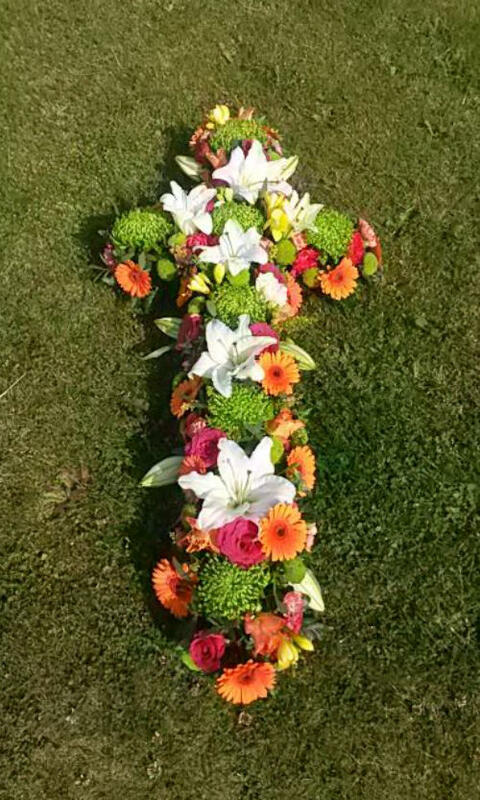 We offer casket tributes, children's floral tributes, cushions, crosses and hearts, funeral letters and names, funeral wreaths, funeral sprays and sheaths. 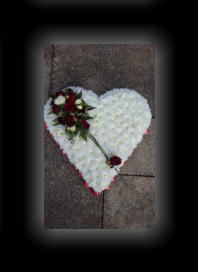 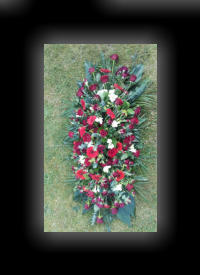 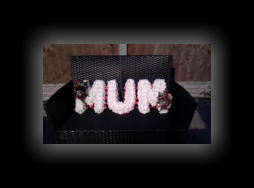 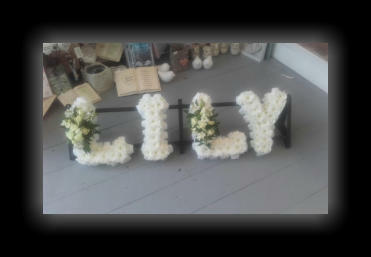 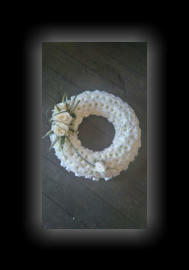 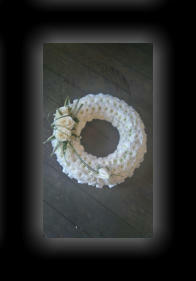 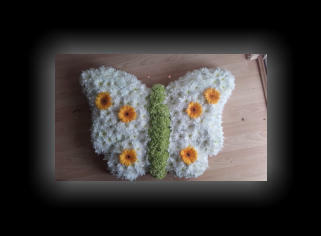 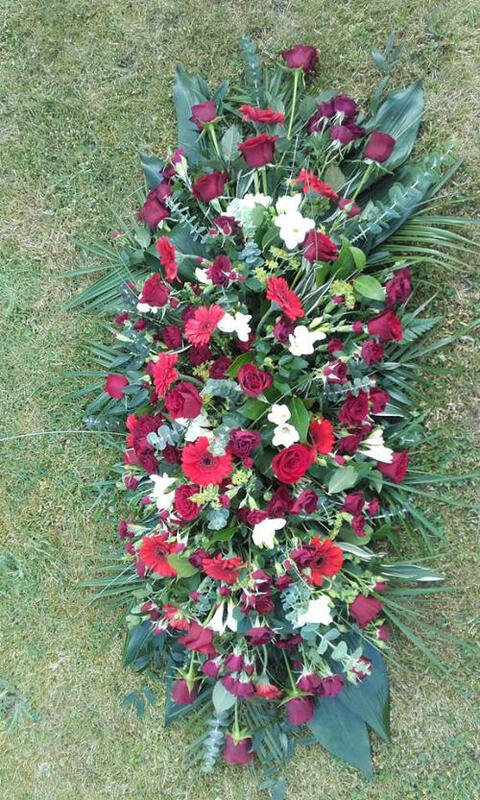 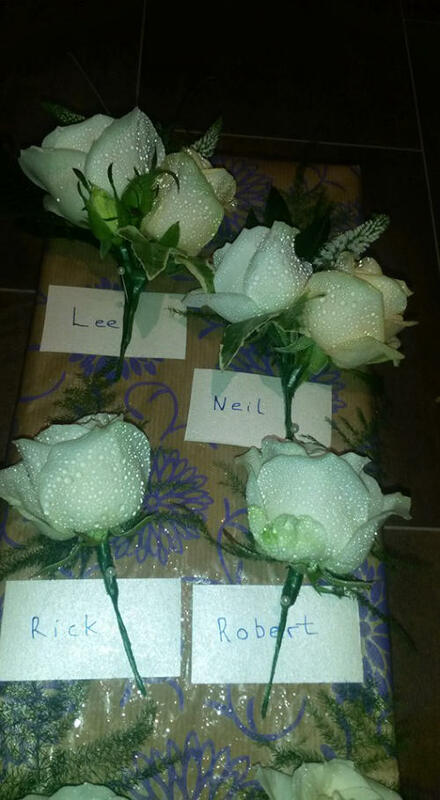 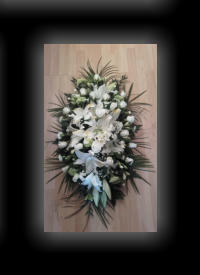 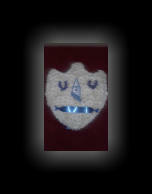 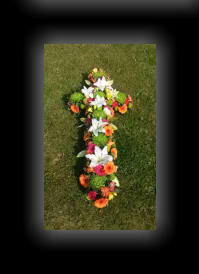 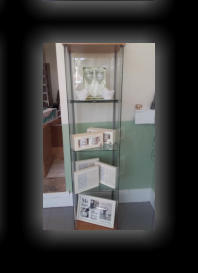 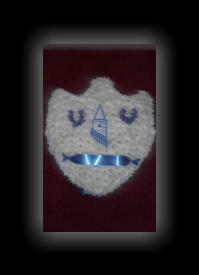 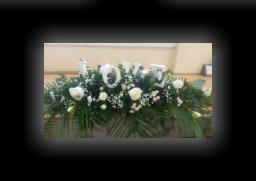 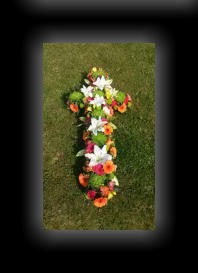 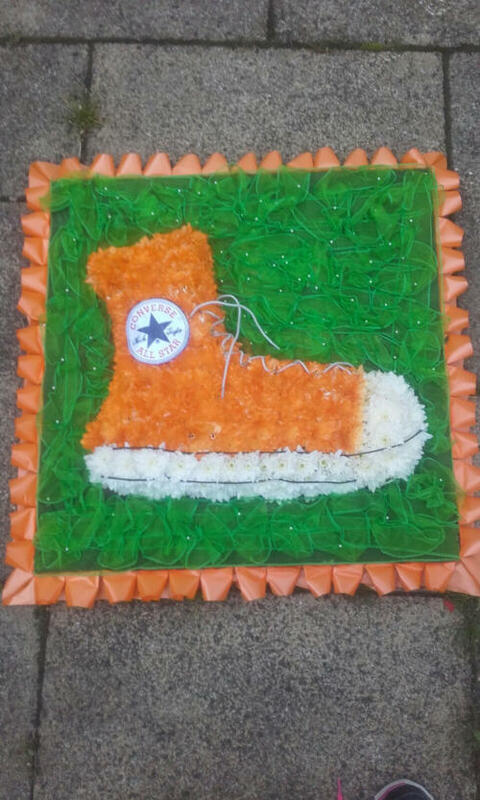 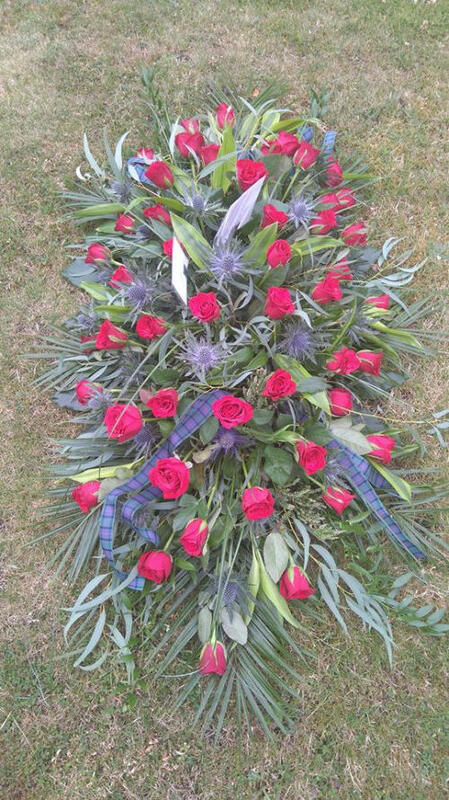 We also offer a bespoke service to create that special tribute that reflects on the life of the departed. 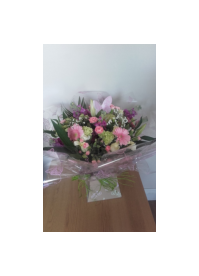 If you’re looking to show your appreciation to a special person, look no further. 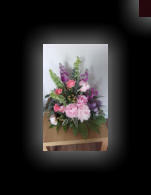 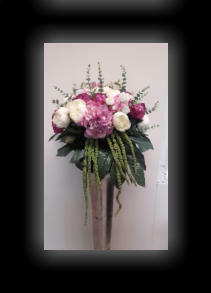 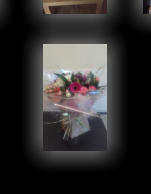 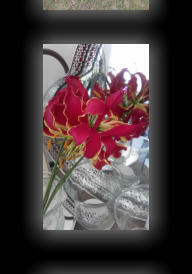 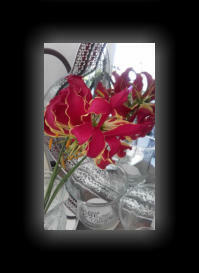 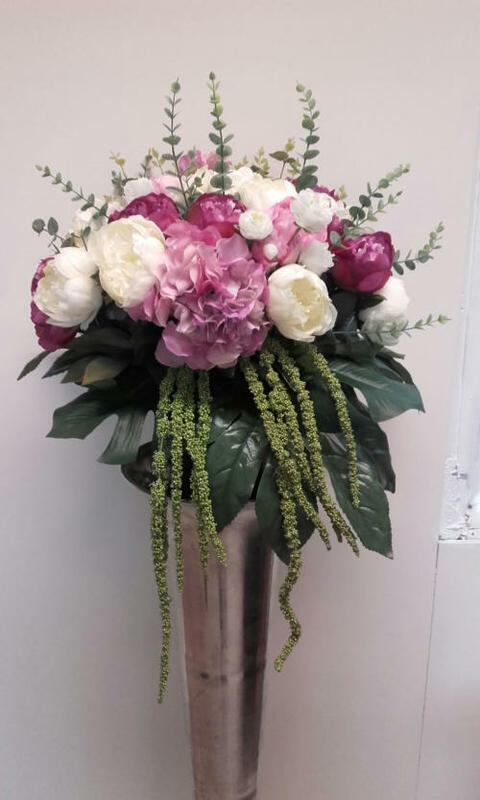 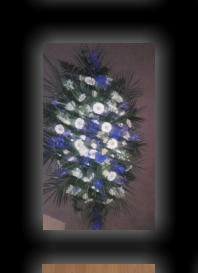 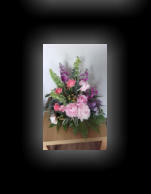 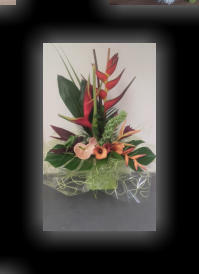 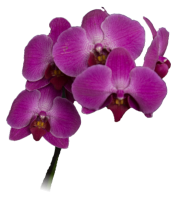 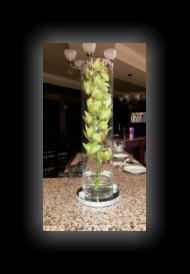 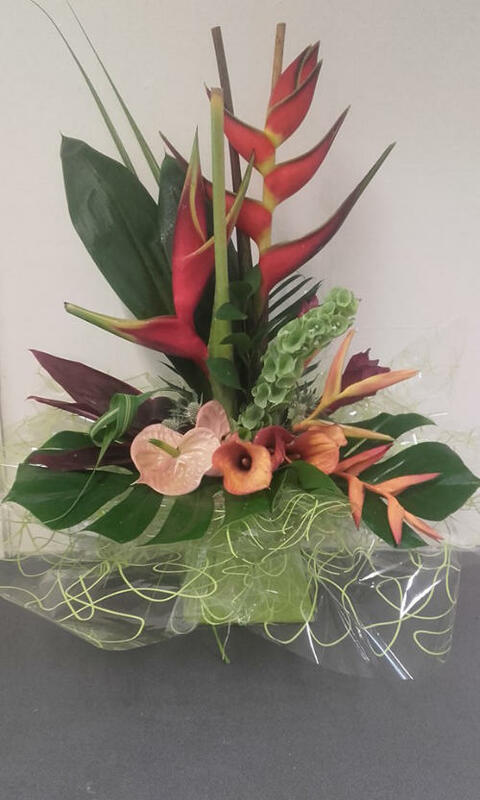 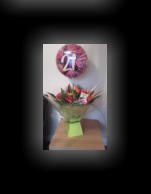 We can provide elegant arrangements for all occasions to show your appreciation to a loved one. 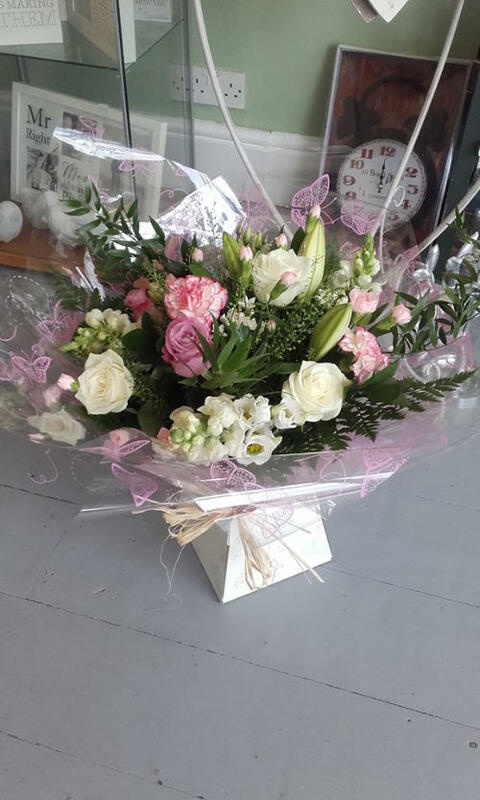 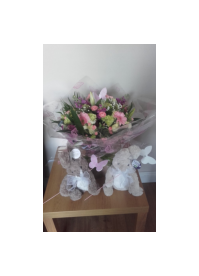 We specialise in tailoring the arrangement to suit the occasion and our staff can advise the most appropriate gift to suit your needs. 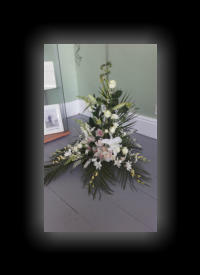 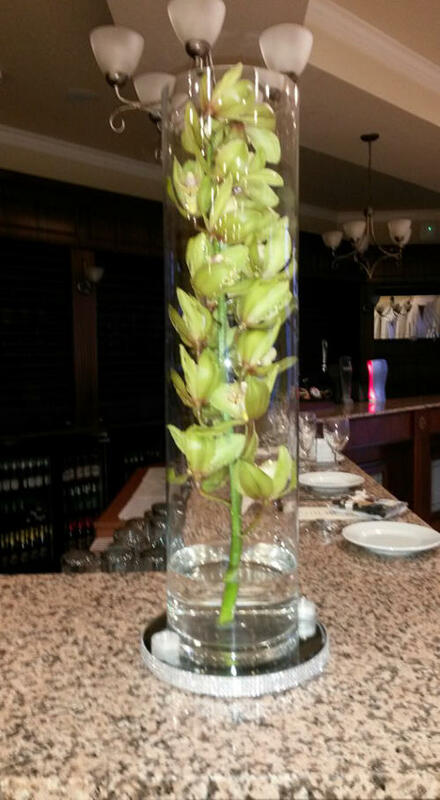 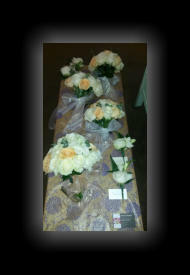 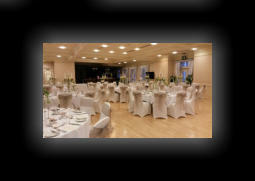 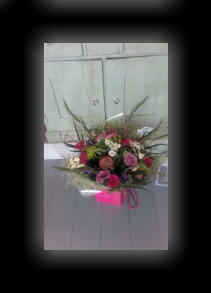 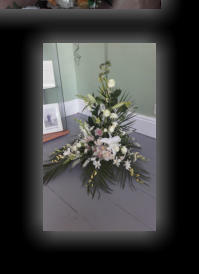 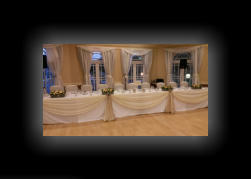 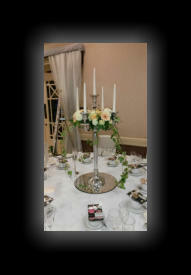 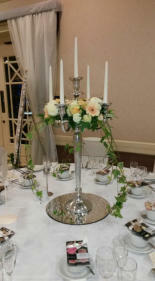 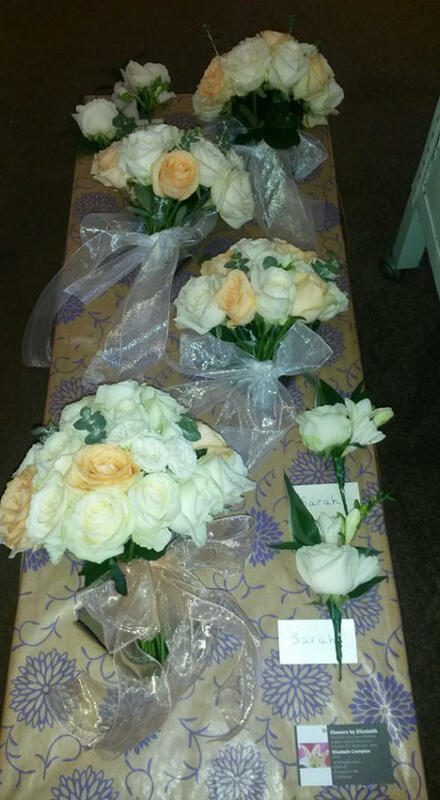 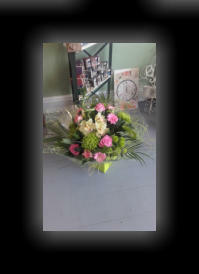 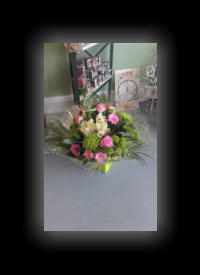 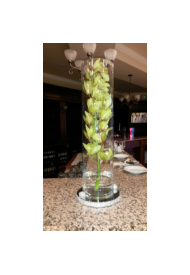 We offer traditional bouquets, boxed hand tied, table centres and also offer a bespoke service to suit your needs. 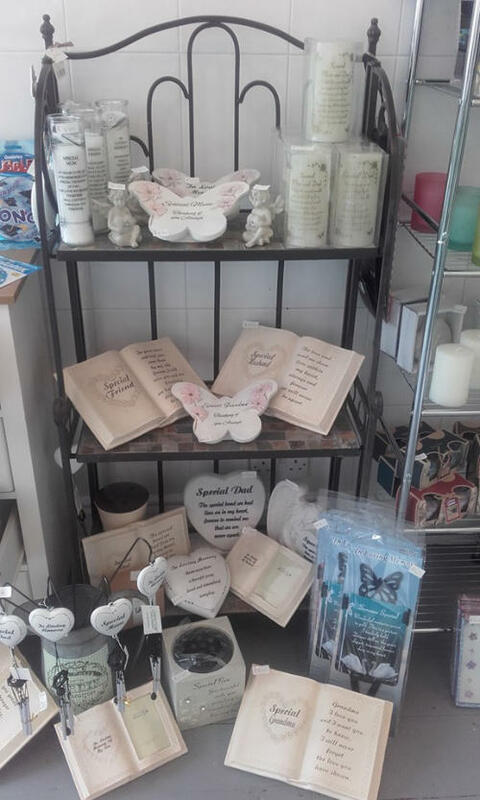 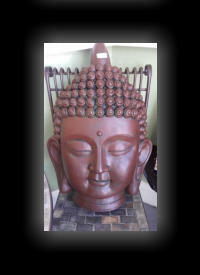 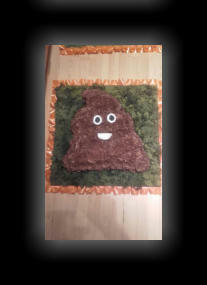 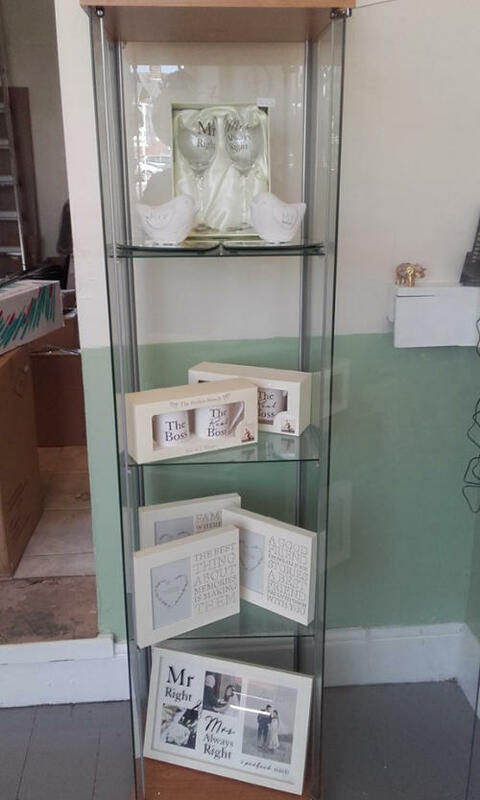 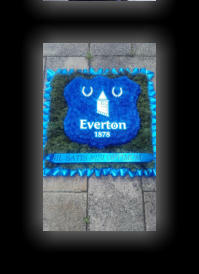 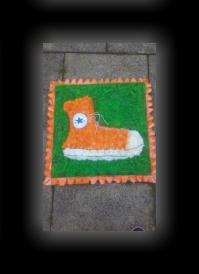 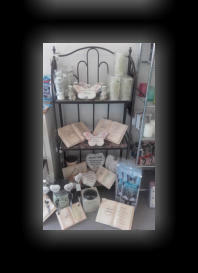 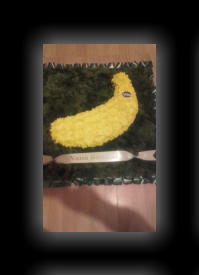 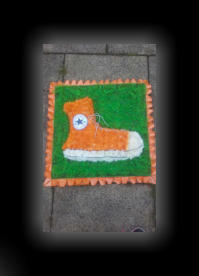 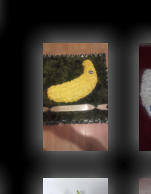 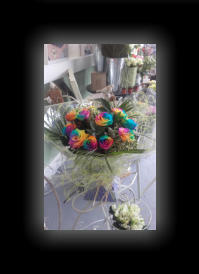 We also offer a range of gifts to complement your selection such as, Teddy’s, Chocolates, Balloons and many other items. 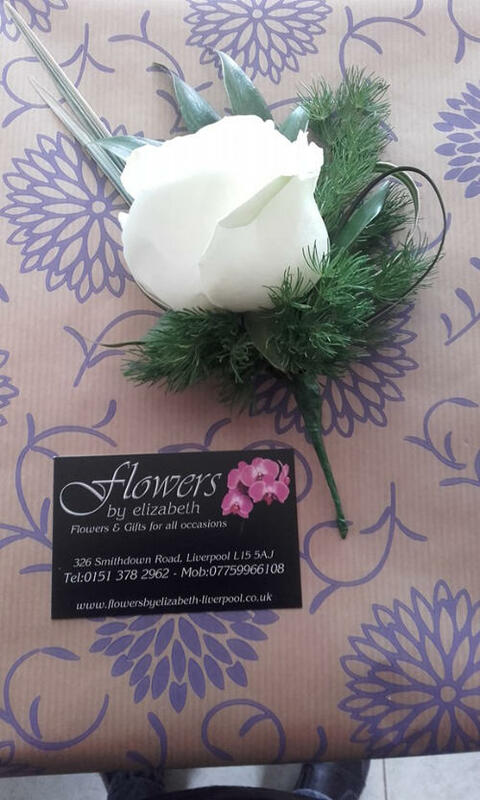 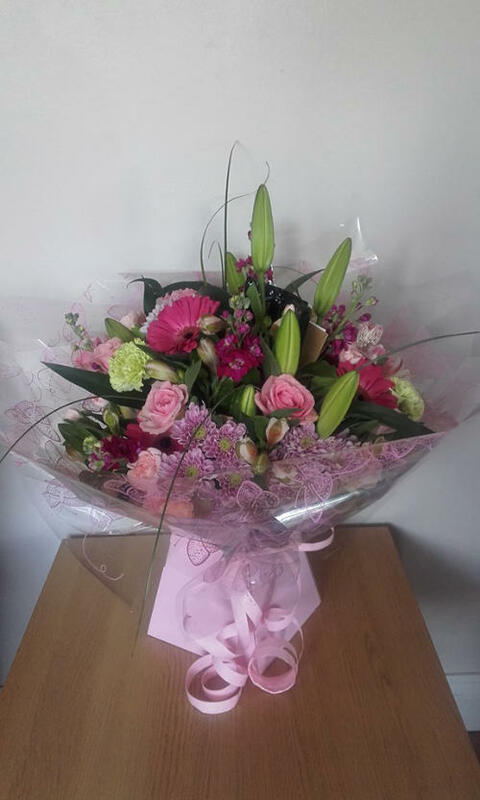 Contact Information Telephone: 07759966108 Email: enquiries@flowersbyelizabeth-liverpool.co.uk Personal Appointments to discuss any requirements can be made. Please call to arrange an appointment to discuss your needs for any occasion.